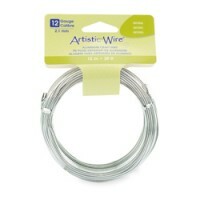 Aluminum craft wire is a versatile material that can be used for many crafts and jewelry projects. It is a thicker wire that holds form well. See the selection of gauges, colors, and lengths of aluminium craft wire to find the perfect product for your needs.